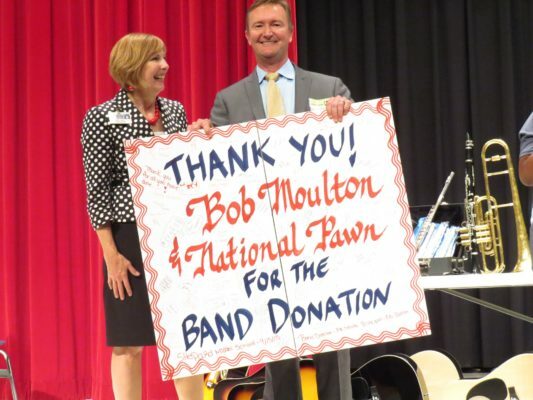 In the spirit of Gift Day, Bob Moulton of National Pawn in Durham, North Carolina has donated over 3,500 musical instruments to more than 20 schools and a total of $60,000 in cash, since 2011. Brian Moulton who is a member of the NPA Board of Directors and son of National Pawn Founder, Bob Moulton, is also participating. In 2018, he has presented eight public school music programs in North Carolina with at least 100 musical instruments and $2,000 to each school on behalf of National Pawn. The generous donations have received local and regional press coverage and a warm reception from the communities and schools that they benefit. 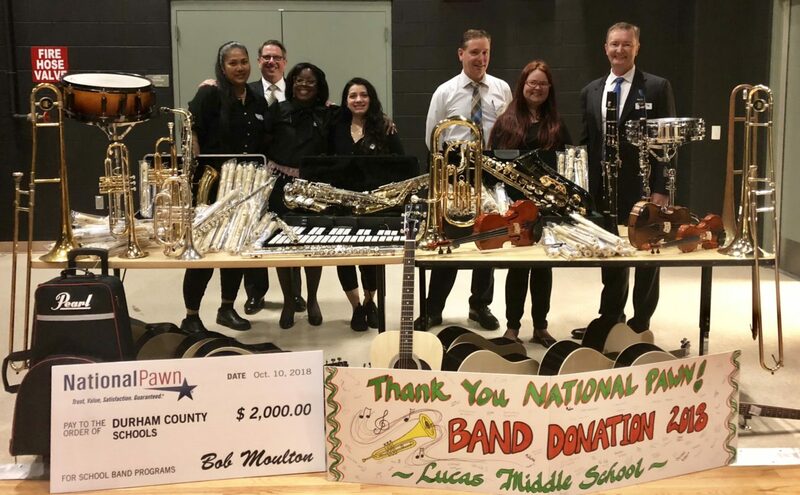 Bob Moulton has always sought to give back to the communities his stores serve and was specifically inspired to support music education through his own experiences growing up. Enamored by music as a child, Moulton wanted to join his middle school band in Durham, NC, but financial strains made it difficult for his parents to purchase a new instrument. It wasn’t until his mom found an affordable instrument at a yard sale that Moulton was able to live out his musical dreams. 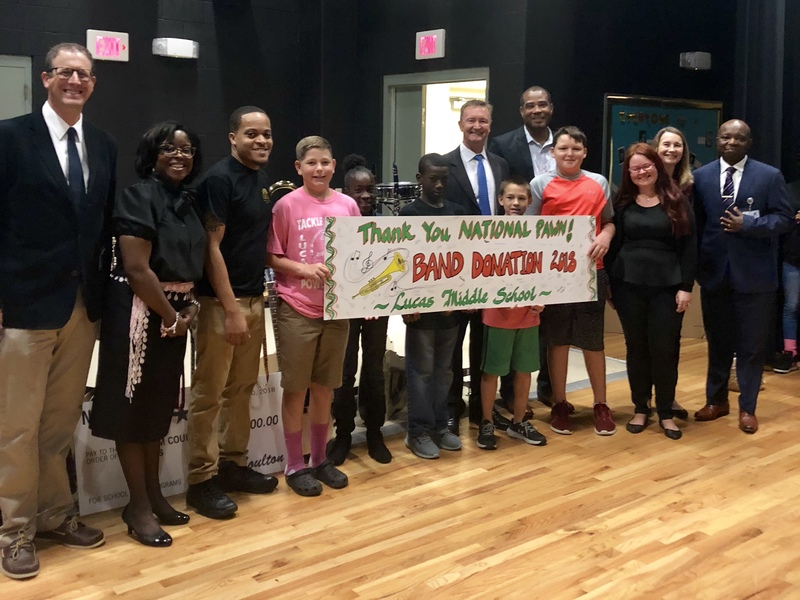 Now a successful businessman, Moulton wants to ensure that every child interested in joining a school music program has the ability to pursue those opportunities. 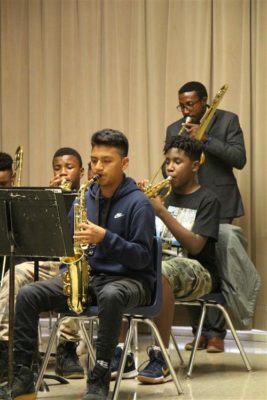 “I’ve experienced firsthand the developmental, creative and social benefits of being in the band, and believe it’s so important we give every student the chance to form that same sense of self and team building through music. 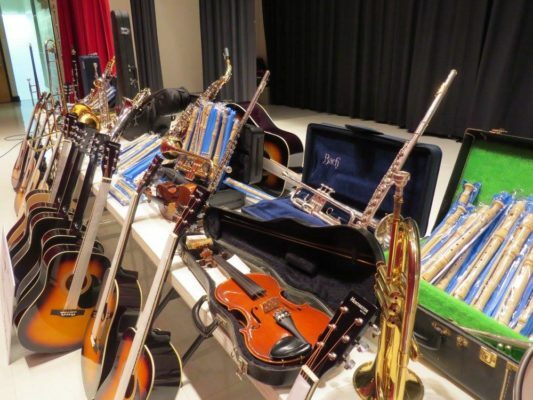 Our hope is that this will also inspire others to donate gently used instruments to local public schools to expand the overall community impact,” said Moulton. Expanding his philanthropy from the fine arts to STEM education, Moulton also donated two technology centers to local Boys and Girls Clubs in 2018, including 20 new desktop computers to replace inoperable ones and a total of $4,000 allocated for software upgrades, staff training and future repair costs for the computers. National Pawn is a Triangle-based pawn retailer with 17 locations and 160+ team members across North Carolina. The company celebrated its 30-year anniversary in 2017. 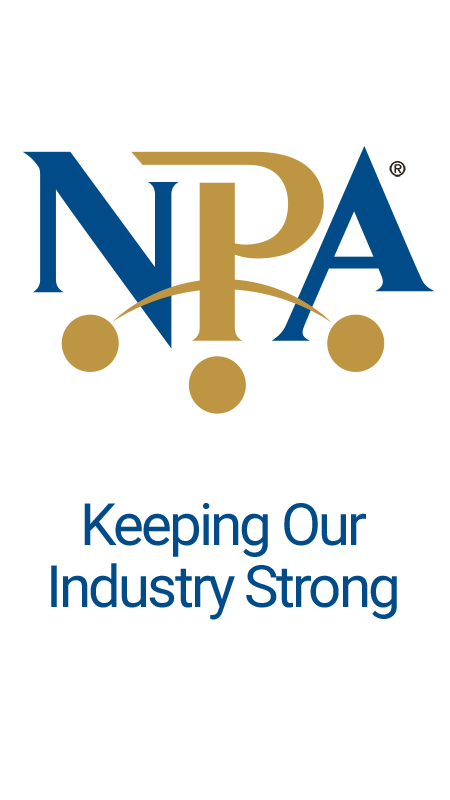 Over the past three decades, National Pawn has continued to be recognized as an industry leader, thanks to world class customer service, bright modern stores, quality products and tens of thousands of satisfied customers. National Pawn offers many services, including buying, selling and pawn loans. For more information, call (888) 315-4347, email info@nationalpawnshops.com or visit www.nationalpawnshops.com.